To strategically plan and manage supply chain activities including procurement, contract management, logistic, material management and warehouse in support of Company’s operational activities and upholding compliance to Company’s policy and procedures as well as applicable regulatory requirements. Manage Procurement planning exercise including coordination with the related function heads within the company to ensure proper identification of the required procurement activities. Determine Bid strategy for all procurement activities listed under procurement plan including alignment with global SCM sourcing strategy and category management requirements. Lead the bid process in capacity of local bid committee chairperson and make decisions in accordance to the applicable regulations. Manage the execution of importation for operational goods in compliance with the applicable regulations. Manage achievement of warehouse KPI including review of inventory aging, inventory availability, stock accuracy, min-max status, receiving , and stock count results. Determine and manage achievement of internal SCM KPI to encourage continuous process improvement. Monitor achievement of SKKMIGAS SCM KPI on regular basis and defend expected KPI results. Manage preparation of annual department budget including monitoring and update for LE1 to LE3. Provide advocacy on regulatory development related with supply chain activities through strong networking in the industry level. Demonstrate HSSE commitment in any activities, comply with all Company HSSE Policy, Standards, and Procedures. Bachelor degree in any discipline with strong knowledge, skills and experience in strategic sourcing, category management, contract management, cost management, material management. Master’s degree in relevant discipline is advantageous. Professional certification of SKKMIGAS PTK 007 is a must. International procurement and contract or equivalent professional certification is preferable. Must have a minimum of 15 years of experience in supply chain management of oil & gas industry, with a minimum of 8 years’ experience in leadership role. International experience and or working for multinational company are preferred. Strong leadership / Management skills, effective and strategic thinking, commercial knowledge and skills. Good and effective communication skills, time management and project management skills. 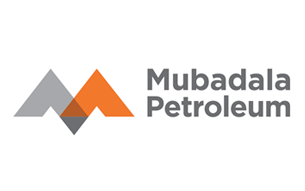 Thanks for reading Mubadala Petroleum Jobs: SCM Manager. Please share...!